Wondering if there is life in outer space? One astronaut certainly thinks so after discovering possible extraterrestrial bacteria on a spacecraft. 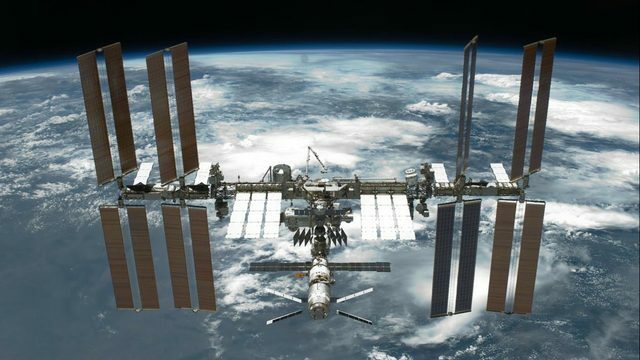 Cosmonaut Anton Shkaplerov from Russia recently reported finding some mysterious bacteria on the external surface of the International Space Station, which has been in orbit since 1998. He told the Russian news outlet TASS that scientists collected the bacteria years ago during a spacewalk. When it was recently tested, he realized it was not from Earth but from space. "It turns out that somehow these swabs reveal bacteria that were absent during the launch of the ISS module," Shkaplerov said. "That is, they have come from outer space and settled along the external surface. They are being studied so far and it seems that they pose no danger." He said the bacteria remained in a space vacuum for up to three years and survived some extreme space conditions, including enduring 150 degrees Celsius temperatures. It’s too early to determine if it is, in fact, extraterrestrial, but scientists hope to continue their investigations. While NASA has not responded to the discovery, it did release a comment about a similar project from 2014, where Russian astronauts said they found bacteria on the space station’s exterior. NASA said it did not receive such information. Shkaplerov, who spent a year in orbit, will be taking another trip to the International Space Station next month.